Thieves essential oil blend is a powerful combination of Clove, Lemon, Cinnamon Bark, Eucalyptus Radiata, and Rosemary essential oils that fills any space with a rich, spicy aroma. As one of our most popular products, it’s no wonder that Thieves is included in so many of our home cleaning and personal care products. It is a key ingredient in Thieves® Cleaner, Thieves® Waterless Hand Purifier, Thieves® Wipes, and Thieves® Foaming Hand Soap. Thieves blend is your go-to for an invigoratingly clean and spicy scent that smells more like fall baking than harsh cleaning formulas. 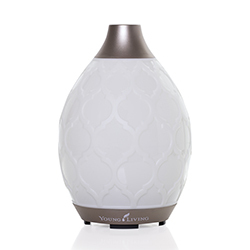 Diffuse 6–8 drops to help create a cozy, peaceful environment. Customize your Thieves experience by adding a few drops of Orange, Tangerine, Nutmeg, or Lemon Myrtle essential oil. Add a few drops to your Thieves Dish Soap or Thieve Automatic Dishwasher Powder to eliminate odors and boost cleaning. Add to any of your Thieves cleaning products. 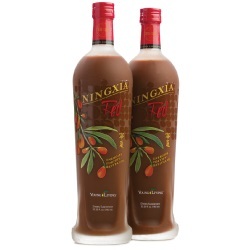 Add to V-6 and use for a foot massage. Welcome the fresh, clean fragrance of Thieves into your classroom or playroom to neutralize strong odors in the air. Create an inviting ambiance by filling your living room or kitchen with the spicy, homespun aroma. Surround yourself with the comforting scent at your desk for an uplifting and cozy workday. Counteract odors near trash cans by flooding the air with this delicious, homey fragrance. Thieves essential oil blend has a warm, spicy scent. 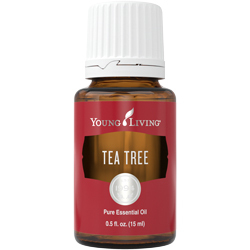 Diffuse it for a fresh, clean aroma around the house, or apply it topically for its cleansing properties. Topical: Dilute 1 drop with 4 drops of V-6™ Vegetable Oil Complex or olive oil. Test on a small area of skin on the underside of your arm. Apply to desired area as needed. In France during the 15th century, thieves would sneak into graveyards to rob from the dead and dying. Legend says they protected themselves by creating a special aromatic combination composed of clove, rosemary, and other botanicals. Today, Thieves essential oil blend is inspired by those tales of old. Combining Clove, Cinnamon Bark, Lemon, Eucalyptus Radiata, and Rosemary essential oils, this blend is one of our most popular products. Use it with household cleaning products or diffuse it to freshen up a room. 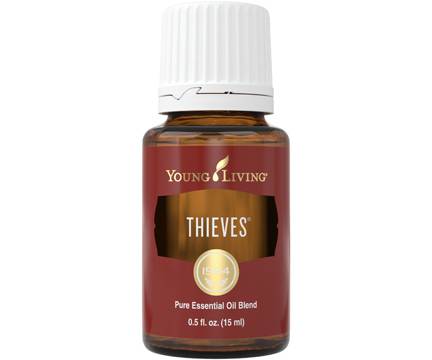 Thieves essential oil blend joined the Young Living family in 1994.